How cute! Love your pug. The painted canvas really works well. 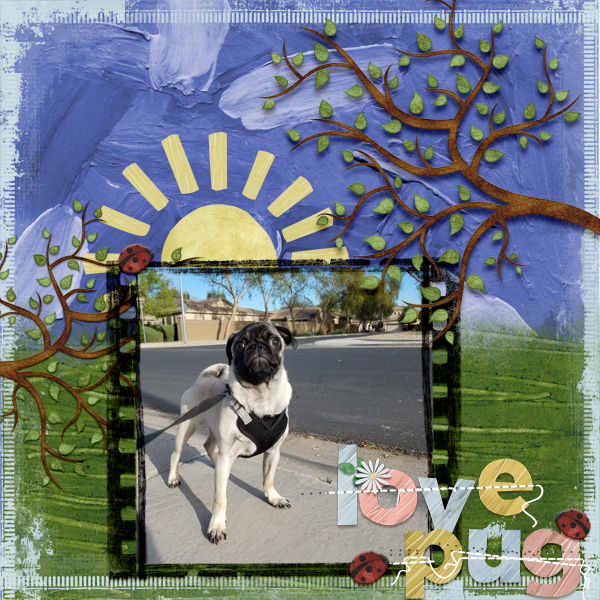 Very clever title with all the "love bugs" to go with your "love pug." Great page. Is this a new puppy, Laura - how sweet! Love your photo and framing and your title is so creative!